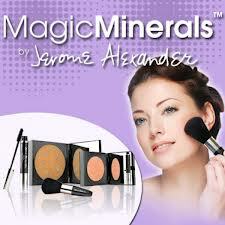 Magic Minerals works as a foundation, corrector and concealer all-in-one. formula glides on gently and hides the appearance of age spots, dark circles and even breakouts. The ultra-fine formula won't get caught in wrinkles, fine lines or creases and contains natural SPF to protect your skin from the harmful effects of the sun. Magic Minerals is a quick, easy, and affordable solution. Covers, conceals, and corrects instantly, and with four different colors in the Magic Minerals set you have all you need to look your absolute best. Yellow to brighten dull skin, pink to conceal dark circles and uneven skin tone. Lavender to correct sallow complexions. Mint to reduce redness and cover breakouts. As Seen on TV lady-face approved. This will correct, conceal, and make you look beautiful.